FPE Automation is Bin Picking in this Live Demo at the Automate Show. We’re live at the Canon booth! 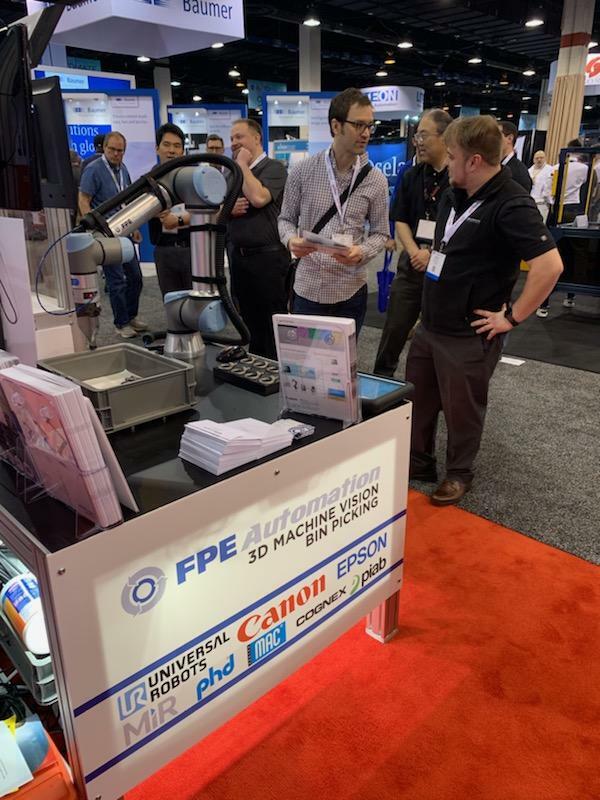 Utilizing a Universal Robot together with Canon‘s RV-Series as the ‘eye’, we’re capturing images of target parts randomly placed in a bin, determining the best pick, and guiding the robot to approach, pick, and place the for its destination quickly but surely. It doesn’t end there! 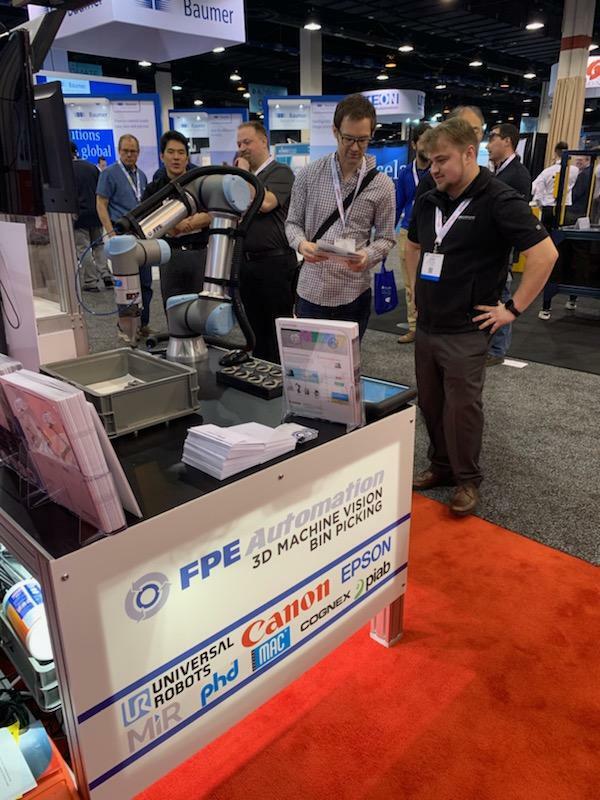 View and download FPE Automation’s complete Automate Show Guide for more to see at this week’s show.